Yesterday a mom from our online group posted a picture of her quintuplets in graduation regalia with a quote stating, “The days are long, but the years are short.” How true that is! Some days raising quadruplets seem incredibly LONG, yet their first year is flashing right before us. All the more reason to savor the little things and link up with A Beautiful Ruckus. 1. For the first time ever, George and I split the crew. 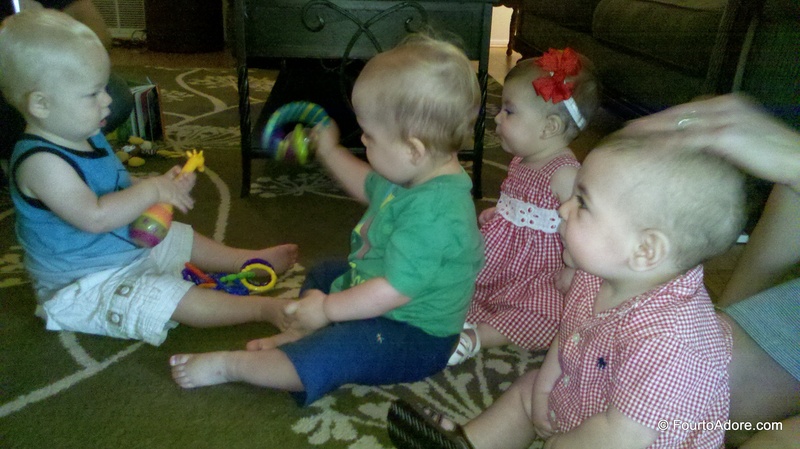 We took Harper and Rylin to a friend’s house for a family barbeque. 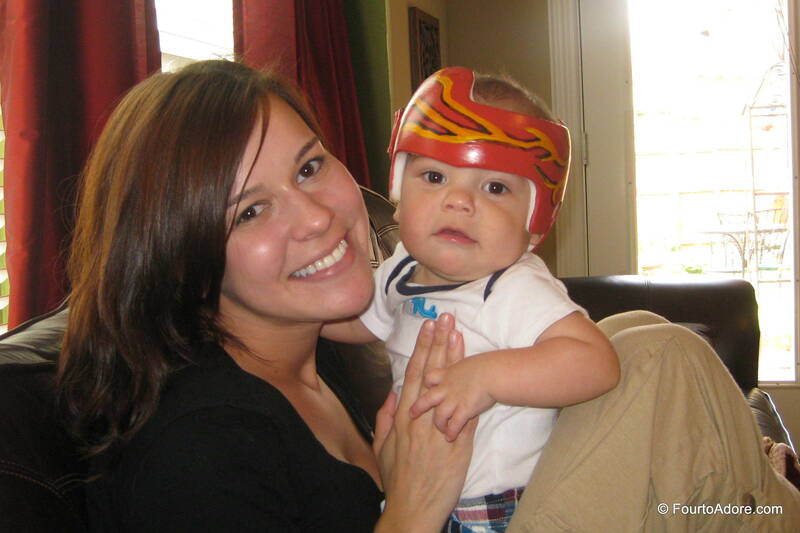 Meanwhile, Sydney and Mason stayed with Aunt CiCi and her friend, Leslie. I agonized about who would be the “chosen” ones and considered all possible scenarios. I ended up choosing Rylin since she rarely takes a good afternoon nap and Harper because he is a strong sitter (they planned to have a baby pool and I didn’t want a baby toppling over in it). Playing man to man defense turned out to be a cake walk compared to the zone defense we’re accustomed to. When we bid our farewells at the party, a nagging feeling taunted me. I soon realized I was missing two kids! Sydney and Mason may have stayed home, but I don’t think they missed out; they got individual attention for an entire afternoon. Besides, they get to go next time we divide and conquer. There were four babies at the party, but only two were mine! Rylin got her first kiss from the adorable little blonde. 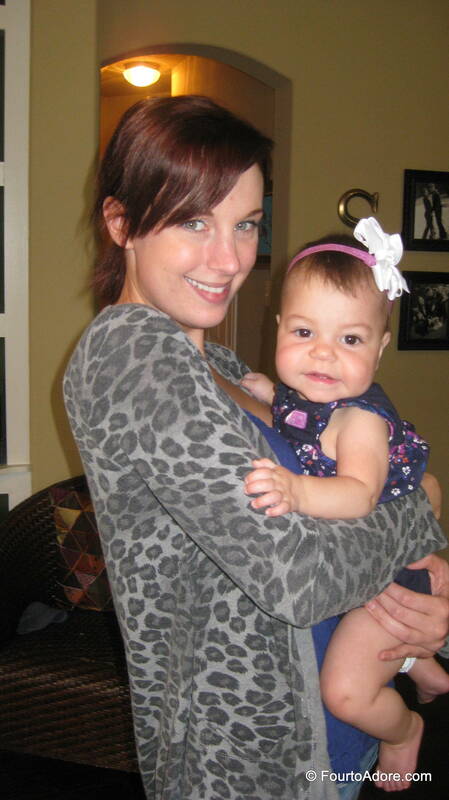 Actually, I think Harper also received a kiss from this kiddo. Hmm. 2. All six of us enjoyed our first meal from the garden this season. 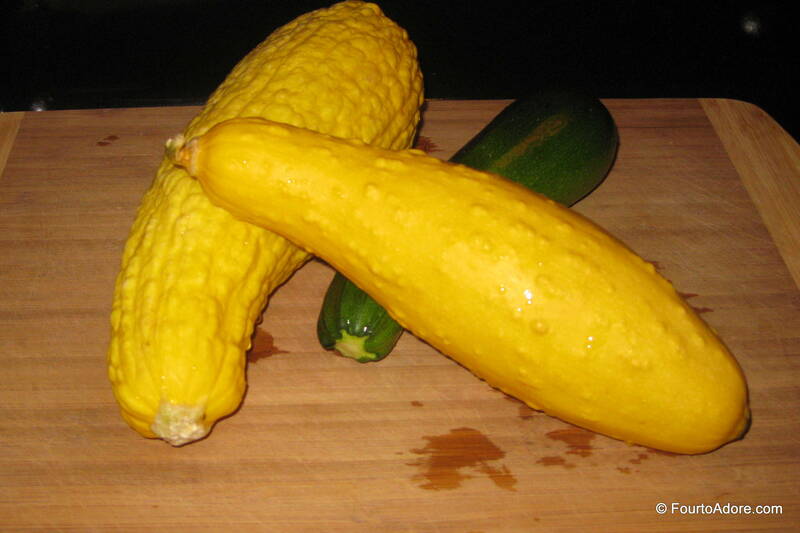 My father in law shared some summer squash and George harvested a zucchini from our own garden. I sautéed both with onions and then simmered with diced tomatoes for our dinner. Then, I pureed the left overs for the babies. As it turns out, Sydney in particular has a sophisticated palate. She prefers our meals over the baby purees I’ve been serving and gobbled up as much as her big brother, Harper. 3. Monday was a rather trying day for me with the babies. Afternoon naps were brief and baby dispositions were noticeably foul. I simply had to escape the confines of our house so I devised a getaway plan. 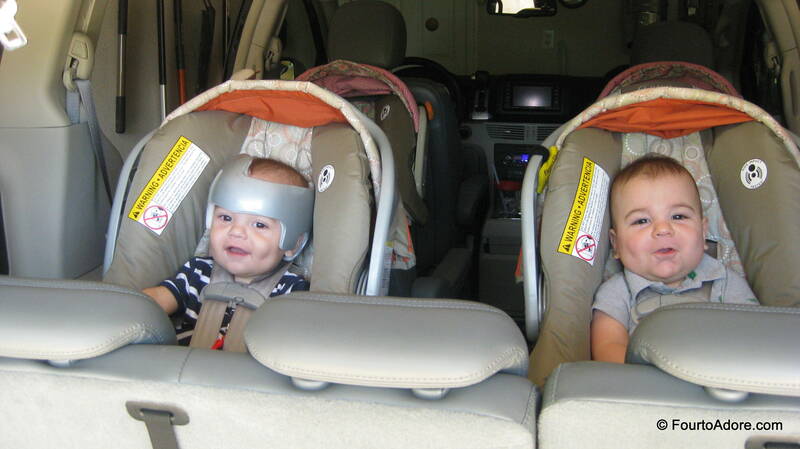 As the babies noshed on a few Cheerios, I loaded the van with Goodwill donation boxes, an ice chest, and a diaper bag. 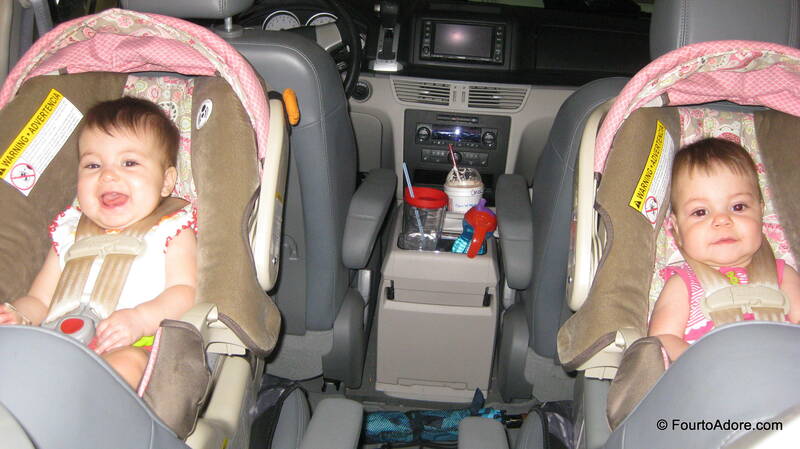 Then I swooped up each baby, buckled them into their car seats and loaded the van. After about 15-20 minutes we were on the open road. After ditching our Goodwill stash at the Donation Station, we dashed over to Sonic. 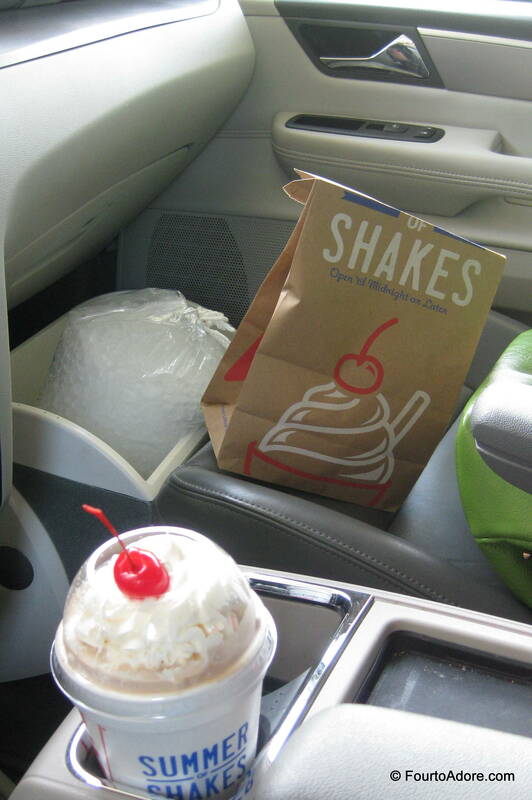 I snagged a chocolate shake topped with a cherry and a bag of ice. It was a bit of an ordeal loading and unloading four babies for a measly shake and ice, but was totally worth it! We ALL needed a diversion. It may have taken me close to an hour to grab a bag of ice, but it was worth every minute of effort. After all, Sonic ice is the best! Those precious faces were not smiling just an hour prior to this picture. I had some seriously unhappy babies. 4. On Friday evening, Sydney had an occupational therapy session. 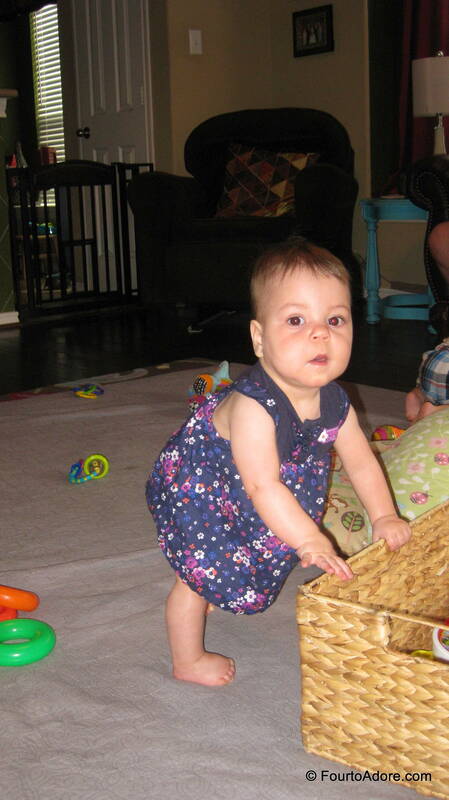 Her therapist was pleased to find both goals were mastered: rolling over and sitting independently. However, I shared concern that unlike the other babies, Sydney wasn’t even attempting to pull up and relied solely upon army crawling. Sydney must have been listening because she got busy on Saturday. All of the sudden she started doing both things! Her therapist is in for a real surprise at her next visit when she sees Sydney crawling AND pulling up on her own volition. Sydney is finding all sorts of things to pull up on from baskets to siblings. 5. I am far too cheap to pay for the version of WordPress, which supports video. However, I’ve been capturing the babies in action recently and started posting them on our Four to Adore Facebook page. With all four babies crawling I noticed they behave a lot like ducks following their mama around. After several outtakes, I finally (well, mostly) captured them crawling from their nurseries to the den. I love re-watching this footage because it makes me smile every time. What bright spots filled your week? Nothing like a road trip to lighten the mood. great pics.